Duly Licensed and Admitted to practice law in the Courts of the State of New York and the State of New Jersey. He is an aggressive and passionate litigator and he is willing to take on large corporations like insurance companies to bring justice to his clients. 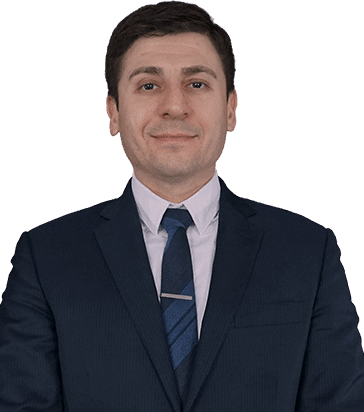 Michael Roitman is an aggressive and passionate litigator and is willing to take on large corporations and insurance companies to bring justice to his clients. Michael works tirelessly to build the strongest case for presentation to a jury at trial. He pays special attention to medical records, medical illustrations, and studies the injury his client sustained in great depth to prove damages at trial. Having conducted summary jury trials, mediations, and full jury trials, Michael is an experienced trial attorney at the firm. He uses technology including illustrations, Power Point presentations, and other multi media to capture the jury’s attention and secure the highest verdicts for his clients. – Jury Verdict for $300,000.00 in Hazem Khamil Haddad v. Glenwood Ebron, Supreme Court Westchester County. Judge Mary H. Smith. Motor vehicle accident with pain management medical treatment. Verdict April 3, 2017. This is an excellent verdict in this county.